At the ending of Code Geass R2, the last scene showed someone whose face wasn't showed riding a horse-pulling-cart with CC. I believe that it is indeed Lelouch (who was previously stabbed by Suzaku wearing Zero's uniform as part of their Code Zero plan to free Elevens), and that he had gained immortality because of his frequent usage of his Geass. Lelouch's Geass first leveled-up the episode when he accidentally ordered his sister Euphemia to kill all Elevens. Then, his father King Charles was beaten by him and I'm thinking that King Charles' immortality was transferred to him. If that person was really Lelouch, then, has he already gained immortality by that time? This seems to be a religious issue, judging by the amount of arguing I found while I was searching for the information contained in this answer. At the very least, xjshiya's answer is not universally accepted, and there are a lot of people who flat out reject that theory. In my opinion the evidence against the other theory is more compelling. I'm going to try to present said evidence as impartially as I can. 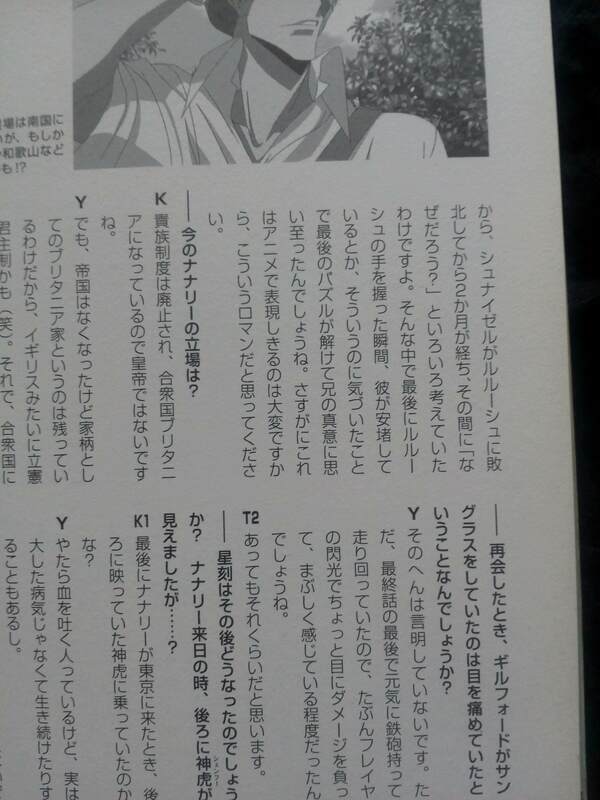 First, no official source has ever claimed that Lelouch survives at the end of R2. That alone doesn't answer the question, because it could be deliberately ambiguous. Of course, Lelouch would need to be alive to be driving the cart.
" -----Still, isn't it possible that defeating the wise ruler Schneizel, the person who was supposed to have brought order to the world, might lead to some [viewers] interpreting it as a Bad End? -----Was there a dispute among the staff members regarding the ending? -----Why were you so bold as to choose this ending when the viewers might see it as a Bad End? ------I see. 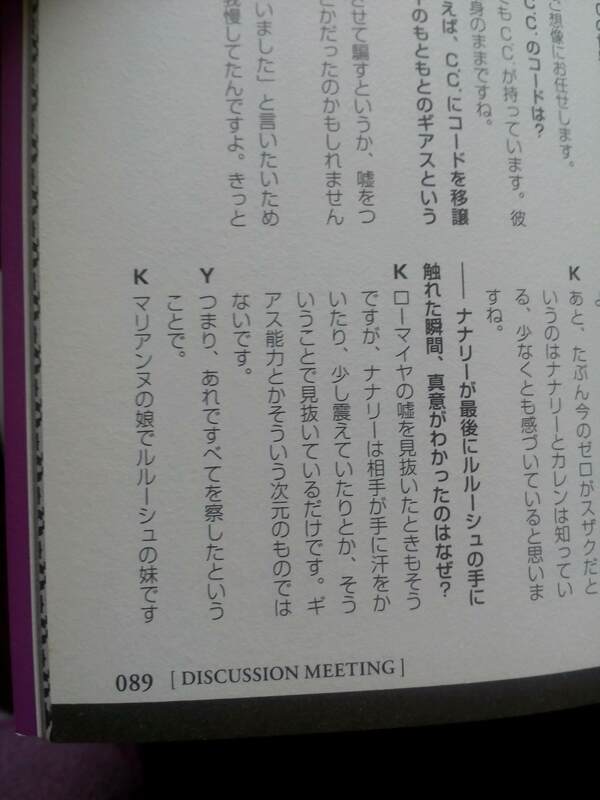 So Lelouch's decision was also your, Mr. Okouchi's, and Director Taniguchi's decision. 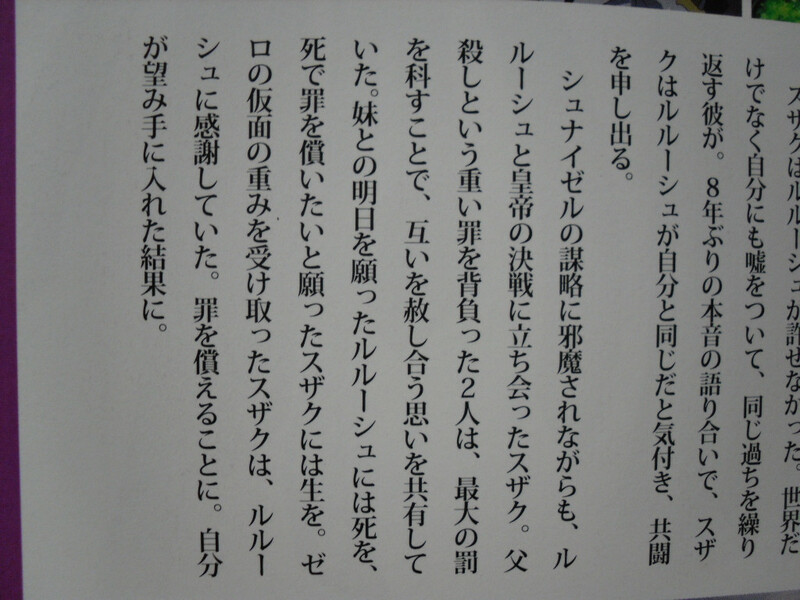 Okouchi: Which is why I think of both our and Lelouch's decision as Happy Ends. I believe that there will be better things in the tomorrow awaiting Nunnally, Kallen and the rest who have been left behind. And surely Lelouch, who was able to make this into a reality, can only be happy [about this]. -----Some unresolved mysteries still remain. Okouchi: From the very beginning, [I/we] never planned on explaining everything. In fact, if you ask me, I think we might have overdone the explanations. While it's undeniable that Lelouch's story has ended with a full stop, the other characters' stories are still on-going, and it's not like the world [of Code Geass] itself has come to an end either. [I/we] didn't want to end it by closing it up for good." 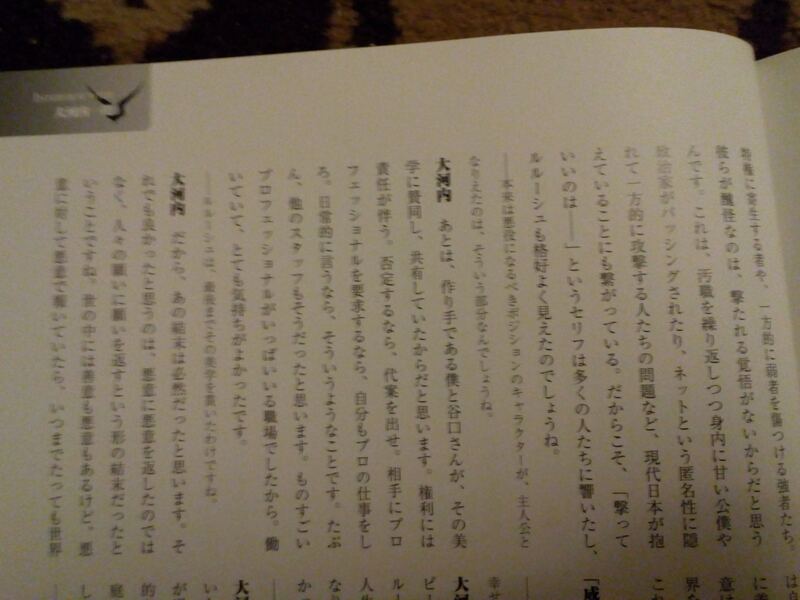 That seems to pretty strongly confirm that at least Okouchi believes Lelouch dies in the end. Of course, Okouchi, being a writer, doesn't have the final say. The director is the one whose word we should ultimately be looking for, but director Gorō Taniguchi has not said anything definitive either way. He did say something ambiguous, to the effect that he "prefers to see the end as a happy one," but Okouchi also claims it's a happy ending despite Lelouch dying. Okouchi also didn't seem to have any difficulty speaking for the whole team, and no one came out to correct him, so this seems reasonable. The link above has a couple other relevant quotes which I will not repeat here. I believe that this establishes that there's a pretty strong opinion that Lelouch is, in some form or another, dead. Here's a further confirmation of this. This image lists people who died in R2. I've boxed the relevant entry for Lelouch. The above was taken from the same issue of the magazine. This is an official image. I don't think this really adds anything to the above except removing some ambiguity. There's some further evidence here (I haven't really checked this translation but by a cursory skim it seems to be accurate). Given that the "Lelouch = Cart Driver" theory requires that Lelouch and C.C. aren't separated at the end, this piece of information just doesn't make sense unless we reject that theory. So we've confirmed that Lelouch is pretty dead at the end of R2, and that the fan theory that he is the cart driver really isn't supported by the official statements. There are a couple of ways to get around all of these facts. I don't really regard them as anything but conspiracy theories and other ways fans are trying to deal with the ending that isn't quite as happy as they were hoping for. Lelouch has at least two identities. Perhaps Lelouch vi Britannia died, but Lelouch Lamperouge lived on? Or maybe Lelouch abandoned his name, but he's still alive, and the sources list him as dead because his identity as Lelouch vi Britannia is dead? I can't really argue against the possibility of this, but there is no evidence supporting it at all. It doesn't really make sense in light of the C.C. bio either. 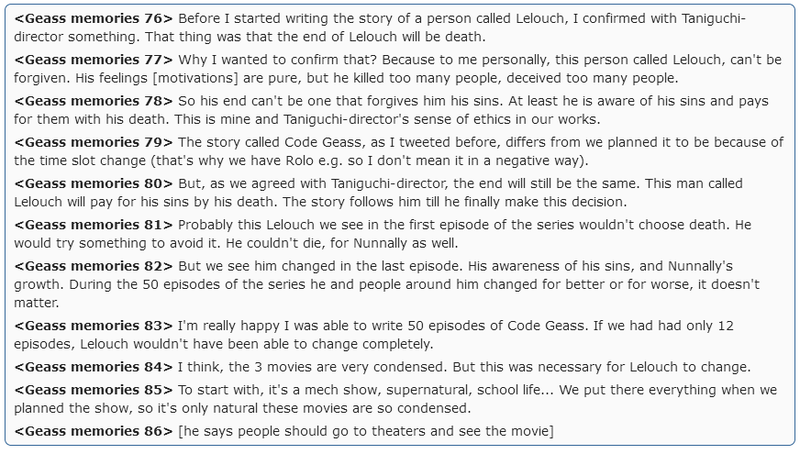 While several people have confirmed that they believe Lelouch dies, director Taniguchi has been notably silent. 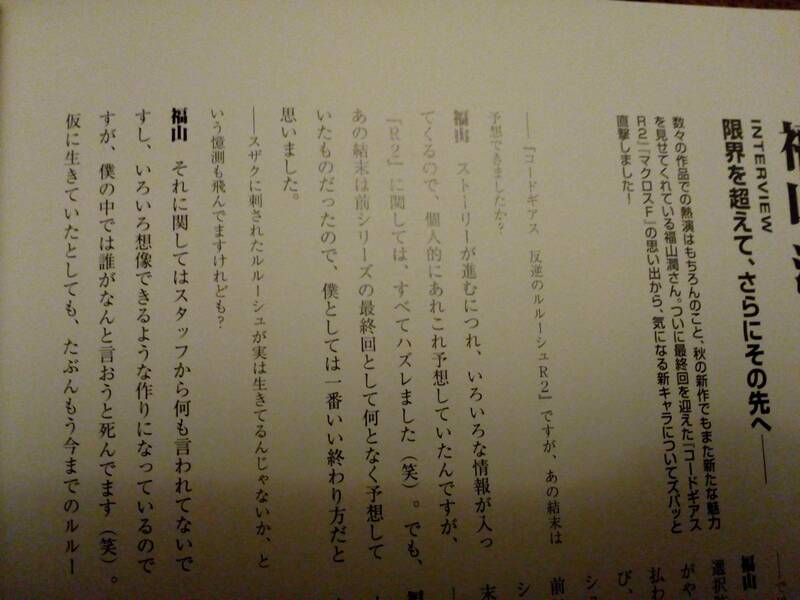 Perhaps there was some disagreement among those in charge, and Taniguchi actually thinks Lelouch is alive? We can't ever know for certain what happened when they were writing the ending, but it seems reasonable to expect that if there were disagreements, Okouchi wouldn't have claimed that there were none, and if the disagreements were major someone else probably would have spoken up. Again, I regard those as little more than conspiracy theories by disgruntled fans who think the ending is somehow "unfair". There is no evidence supporting either of them. While the theories proposed in the other answer are good speculation, they just don't fit with facts released later. The consensus of the production team is that Lelouch is dead and not driving a cart at the end of Code Geass R2. The cart driver is probably just some random guy. If this seems unfair to you, then it's worth remembering that many other characters with far fewer crimes died in the series, so in some sense it's poetic justice for Lelouch to also die. And the interviews with everyone including the director do confirm that in dying, he was successful at his goal of starting the world down a better path. Again, this seems to be something people view religiously. I'm not claiming that the speculations that Lelouch survives are bad in-universe, but there's simply no evidence for them either from the producers and a lot of evidence to the contrary, so the better answer in this case is that Lelouch is dead. Lelouch is really the cart driver at the end of Code Geass R2. The most obvious reason would be CC calling to Lelouch in the closing scene of the episode. As we can assume CC to be still sane, she must be talking to someone, and that someone would most probably be the driver of the cart: Lelouch would have to be alive. Second, however, and this is where the others have thought things through, Lelouch is alive because he got his dad's code. He beckoned the World of C to lend him its powers, and he took Charles's code before Charles passed on. The reason why Lelouch still has his Geass is because he didn't take the Code from the same person who gave him his Geass: he took his Geass from CC, and he took his Code from Charles. Thus, he now possesses both immortality and a Geass. 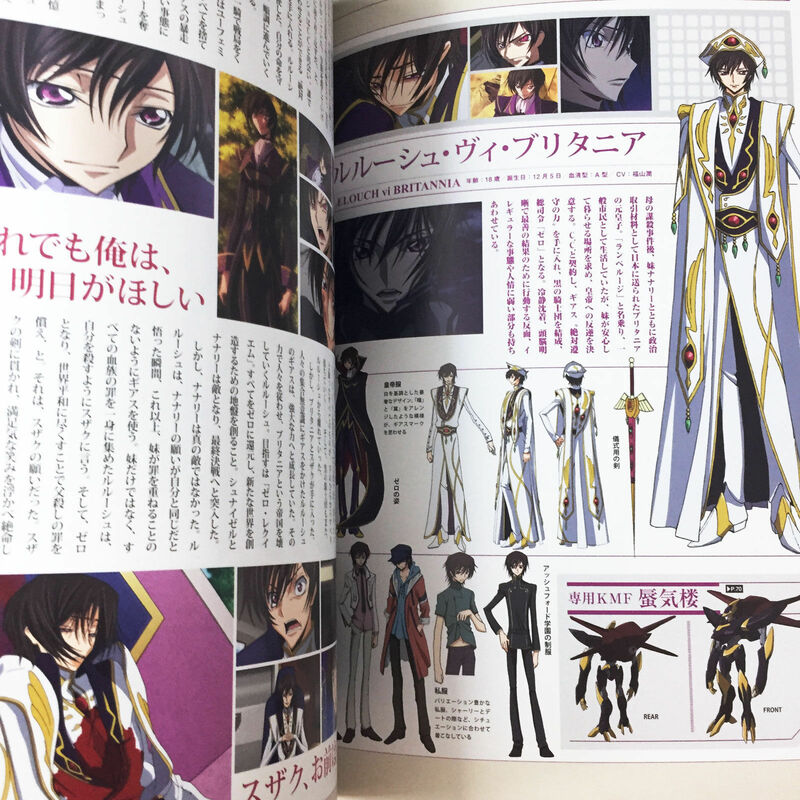 This is also a reason that the title is Code Geass: Lelouch of the Rebellion. To further corroborate this, however, remember that when Nunnally held Lelouch's hand he transferred his memories to her. CC also did it when Lelouch touched her accidentally back then, so it could be assumed that people with Codes are indeliberate telepaths. This leaves us with both immortals traversing the world for the rest of eternity. Charles grabbed Lelouch with his right hand, which had the Geass sigil. Lelouch needed the fully evolved Geass to transfer a code. The code doesn't appear to activate until someone dies. Hence, why C.C. was wounded when she first inherited her code. Same happened with Charles in the World of C.
When Lelouch touched Nunnally, Nunnally got a flash of his memories. This ONLY happens when a high potential Geass user touches someone with the fully evolved Geass. The title of the series is "R2″, which is similar to how "C.C" is pronounced. So Lelouch would be "R.R." which is Engrish (I presume) for L.L., Lelouch Lamprouge. When C.C. is talking on the wagon, she says "the power of Geass brings loneliness…that's not quite right is it, Lelouch?" and nods her head in the direction of the wagon driver. [Furthermore,] Orange knew of Lelouch's and Suzaku's plan and helped them out by ordering his men not to fire on Zero, he even smiled when Zero (Suzaku) jumped on his shoulder. Now would Orange, a man who devoted himself entirely to Lelouche and threw away everything without a second thought be OK with a plan where the sole person he wants to protect in life is actually killed? The answer to that is NO, not even if Lelouch ordered him to accept the plan: he would not go along with it and would protect him with his life. There is only one way that Orange would be OK with a plan like that and that's if he knew about Lelouch's immortality, which I assume he did as he worked with V.V. in the Geass research base. Orange was OK with this plan as he knew Lelouch would come to no harm and would be able to start a new peaceful life with the woman he loves in a world which he himself had made peaceful. Even at the end, we see Orange on his orange plantation, completely content with the way things have panned out, he definitely could not be that happy had Lelouch actually died. So Lelouch and CC lived happily ever after, literally. Over the past 10 years the creators of the show have repeatedly explained that Lelouch is truly dead. This was done in interviews, articles, tweets, live commentary, the official guide book, the remade epilogue (from 2009) where they dropped the misunderstood hay cart scene and replaced it with C.C. explicitly narrating to the audience that Lelouch is dead, etc. There's a Reddit post where all these official statements can be found. This post also scrutinizes the fan theory which assumes that Lelouch has the code and shows where and how the anime itself contradicts the theory's points. I will give a few examples from that linked post, for a full overview follow the link above. "A young man dies. He had the power to change the world, to create a new order. The world feared him, hated him. But, I know he died with a smile on his face. Only those who have realized their dream will truly understand that feeling of utter contentment. So, this is not a tragedy. And whenever I feel sad or cry at night, I sing a song. A song of man's making. Zero Requiem!" 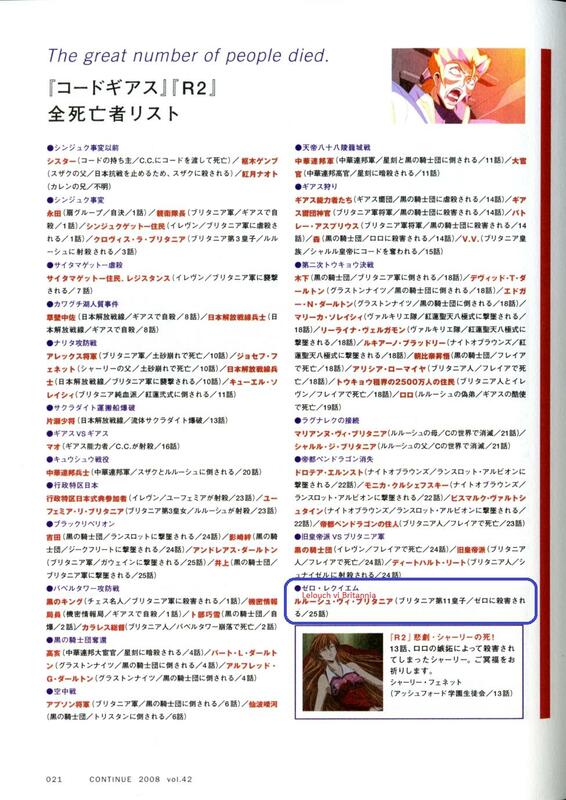 As if all the official statements about his death aren't enough, the creators even explicitly denied some of the core points of code theory, such as Nunnally seeing memories/code visions. This answer was based on a compilation post from reddit. 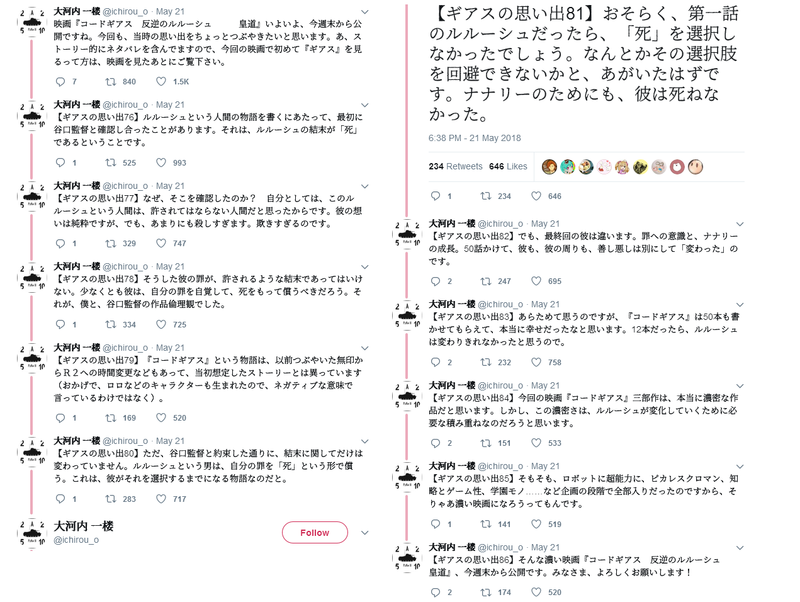 The compilation post consists of 2 parts, part 1 gathers all the official statements, part 2 shows how the anime itself contradicts code theory because code theory violates the rules established by the anime's canon. Well, actually, if you're going to offer that the official records pronounced him dead. I'd like to counter by saying during the show, after freya was launched by suzaku, the official records pronounced both nunnally and sayoko dead, and we know what happened there. I know it was to prevent spoilers for the show, but still. Unless there's another season that adds on to it, we really can't definitively prove whether Lelouch is either dead or alive. There's just too much circumstantial evidence that he is alive, yet more solid evidence plus motive to say that he is dead. It's inconclusive, really, but as a placeholder I think seeing him as passed on would be appropriate for now. What did the old man say to the bartender at the end? Did Daichi and Hana survive?